Christmas Island is part of the Australian territory and is located in the Indian Ocean 350 km south of Java and Sumatra. You will be greeted by stretches of white sands, the chance to sight rare bird species and endless scuba diving and snorkelling opportunities. Don’t miss a chance to see the iconic red crab migration, which happens every year from October to December. Other activities include lounging on deserted beaches, spotting endangered turtle species, playing golf on scenic courses, or watching spectacular sunsets. The climate is tropical, with a rainy season from December to April. Visit Christmas Island for its natural beauty and tranquillity! Whilst Christmas Island poses little health risks, you should take some basic precautions to protect yourself in the event of a health problem, such as updating necessary vaccinations and carrying a first aid kit with you. You will not be able to find satisfactory medical care on Christmas Island but this island offers a 24-hour hospital which you may contact at 08 9164 8333. In order to access well-equipped hospitals and competent medical staff, you will need to seek treatment in Australia. However, despite excellent medical facilities, health care fees are high over there. You can call for an ambulance service on the island by dialling 000, but you will have to provide a very specific location. Is Christmas Island Safe for Travel? Government information on safety and security is not currently available. While visiting Christmas Island, make sure you stay safe. Always keep an eye on your belongings and carry a copy of your passport rather than the original. Be wary of tourist traps and take the safest means of transportation possible. Finally, take care of your health by reducing exposure to bacteria and animals or insects. 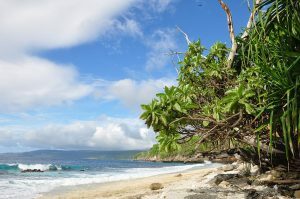 Do I Need a Visa to Visit Christmas Island? Prior to travel, make sure you check with your transportation company about any passport requirements to travel to Christmas Island. This is important as in some cases their regulations on passport validity may be more strict than those of the destination country. There is currently no information on an embassy in Christmas Island, you may always call the Emergency Watch and Response Centre in Ottawa in case of embassy related issues.